Following weeks of unedifying horse trading, threats and extortions, compounded by personal malice, Prime Minister Benjamin Netanyahu has finally cobbled together an untenable coalition with only a single-seat majority — which any single Knesset member in the coalition could bring down. To survive, it must be broadened. 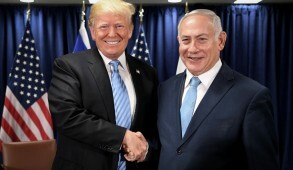 Most Israelis are disappointed that a national unity government could not be formed at a time when we are faced with daunting political and diplomatic challenges, in particular further major tensions with the Obama administration. 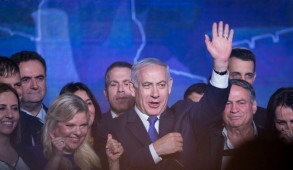 Yet, there is still considerable speculation that, despite public protestations to the contrary, both Netanyahu and Isaac Herzog would prefer to create a unity government and that at a later stage, the coalition will be expanded to incorporate the Zionist Union or as a last resort, even Yesh Atid. Excoriating Netanyahu for capitulating to unreasonable demands from minority parties that run counter to the will of the people is fine for populist armchair critics. But the responsibility rests with our dysfunctional political system and those voters who supported the small parties. Were Herzog in Netanyahu’s shoes, he would have behaved in exactly the same manner. To form a government, Netanyahu was forced to forfeit the best available candidates for ministerial positions and even appoint utterly unsuitable ministers. In addition, he was obliged to submit to demands of small one-dimensional parties — adopting policies that Likud and the vast majority of Israelis strongly oppose. Ironically, despite restricting Netanyahu to a hairline majority, the calculated decision of Avigdor Lieberman to undermine Netanyahu and join the opposition will delight most Israelis. Lieberman was the antithesis of what Israel required for the role of foreign minister. Cynically claiming to be motivated by ideological principles was pathetic for Lieberman, who is notorious for his political zigzagging. Besides, aside from having a penchant for coarse statements that may appeal to his constituency but alienate the rest of world — such as his call for disloyal Arab Israelis to be “beheaded” and the public condemnation of his government during the Gaza war — Lieberman was probably Israel’s least successful foreign minister. Naftali Bennett and Habayit Hayehudi were treated shabbily by Netanyahu, who capitulated to Shas at their expense. 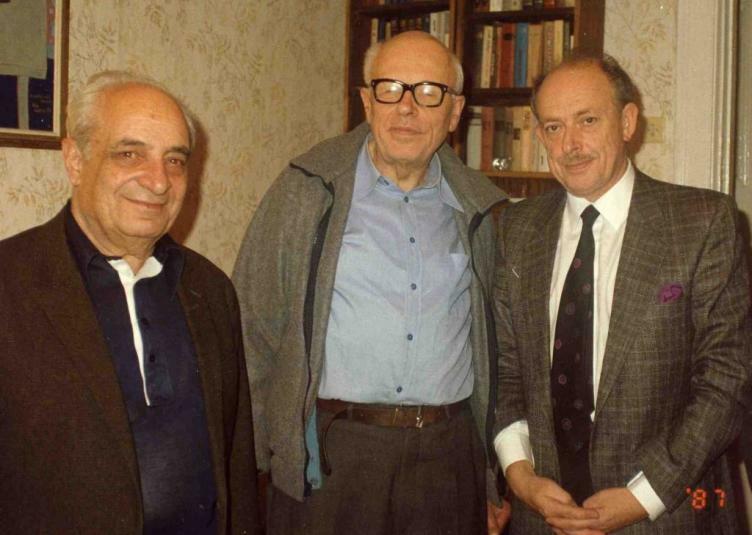 Nevertheless, had he agreed to Bennett’s demand to become foreign minister, this also would have been disastrous. Bennett is articulate and charismatic but he is repeatedly on record vowing that he would never contemplate a Palestinian state and favoring annexation of the territories, which would have provided Obama with all the ammunition required to orchestrate a massive global anti-Israel campaign. That he initially spurned the offer of the Education Ministry was regrettable. Education should be the paramount concern of Habayit Hayehudi. Bennett has a vision of Israel and Jewish values beyond the religious arena and understands how to reintroduce Jewish values into the secular education stream without religious coercion. The courage he displayed in his previous political forays suggests that that he could be an outstanding education minister and achieve major reforms in the system. The last-minute appointment of Ayelet Shaked to the Justice Ministry was Bennett’s payback for Habayit Hayehudi’s shabby treatment. Although she has no legal background, Shaked is extremely competent and, aside from creating tensions by seeking to reduce the excessive power of the High Court, she will hopefully curtail the control over the rabbinate sought by Shas. There is considerable disgust with the negative moral implications of appointing Shas leader Aryeh Deri, a convicted felon, as a minister. Fortunately, public outrage and petitions precluded him from obtaining the Interior Ministry which he coveted and had controlled when he was indicted. But it still shames us that such a person could be appointed as religious services minister as well as economy minister. In terms of actual policy, the principal rage against Netanyahu is in relation to issues of state and religion. The retraction of the decision to criminalize and jail haredim refusing to partake in the draft by 2017 was commendable, as this type of coercion was an obstacle to progress and, if implemented, would merely have transformed our jails into yeshivot and radicalized haredi opposition to the draft. However, Netanyahu has capitulated to other haredi demands and effectively totally displaced the Zionist Habayit Hayehudi in the religious and rabbinical arena with the haredim. Setting aside the pros and cons of the massive increase in funding to haredi institutions, the abrogation of financial penalties to yeshivot not fulfilling quotas for the draft will only encourage indolence. The decision that state-sponsored haredi educational institutions are no longer required to incorporate a core curriculum — a crucial element enabling graduates from yeshivot to obtain employment — is also highly retrograde. Another disastrous move, which will intensify tensions with Diaspora Jews and further alienate all other than haredi Israelis, is the rescission of the legislation enabling Israelis to choose rabbis for marriage, divorce and conversion. This will deny moderate Orthodox rabbinical groups like Tzohar the ability to operate in these areas and prevent municipal chief rabbis from establishing their own conversion courts. These basic religious services will be exclusively controlled by the Chief Rabbinate, which has been hijacked by the most stringent haredi elements. This centralization of control by haredim is unprecedented and imposes the most stringent interpretations in all fields of Jewish law on the whole nation. 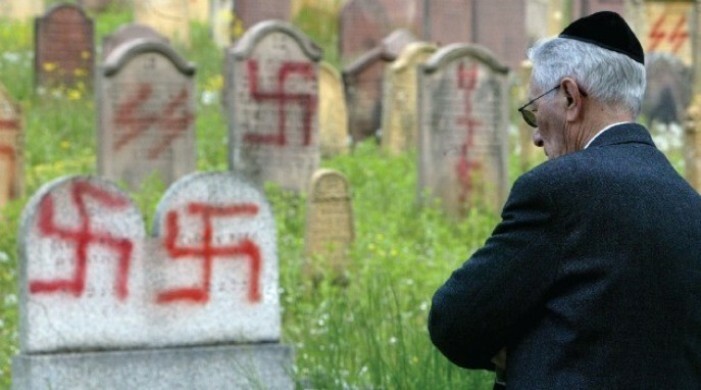 In the long term, despite an extraordinary revival of Jewish values especially in Israel, this will bring the rabbinate and religious life into disrepute. There is also some concern about the economy. It is highly commendable that incoming Finance Minister Moshe Kahlon has plans to introduce reform to benefit the weaker sectors — especially in the housing arena. However, there is a huge difference between reforming the mobile phone industry — at which he was undeniably successful — and revolutionizing a national economy. At the moment, Israel enjoys one of the most stable and enviable economies in the world but this could change overnight with the implementation of populist policies. Netanyahu will need to work closely alongside him to ensure that overdue internal reforms do not play havoc with the overall strong economy. 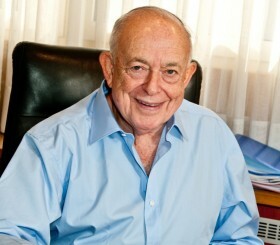 With such a razor-thin majority, another major disadvantage of the government is that innovation will be severely limited and constructive policies can be vetoed not merely by the absence of the unanimous support of all the small parties but by any individual government Knesset member. As in the past, an absence of cabinet responsibility and Netanyahu’s inability to impose discipline should his ministers act as rulers of independent fiefdoms and maintain their practice of publicly criticizing their own government, will likely continue. In the coming months we will face enormous pressures. Not merely from the Europeans but from the U.S. administration. Once Obama is no longer directing all his efforts towards consummating an agreement with Iran, effectively transforming it into a threshold nuclear power, he is likely to revert to Israel. All indicators suggest that he intends to implement his threat that if Israel fails to toe his line, the U.S. would no longer employ its veto at the United Nations. His clearly stated policy is that Israel’s borders should be based on the (indefensible) 1949 armistice lines with mutual swaps (which could never be achieved with the intransigent Palestinians), division of Jerusalem, and an indefinite freeze of all settlement construction which, in this context, includes settlement blocs and Jewish east Jerusalem. 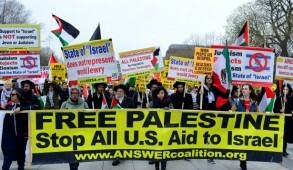 Needless to say, Israel will not be able to make such concessions and will need to display a united front in order to ensure that American public opinion and the U.S. Congress will inhibit negative Obama initiatives. Much will depend on the opposition. 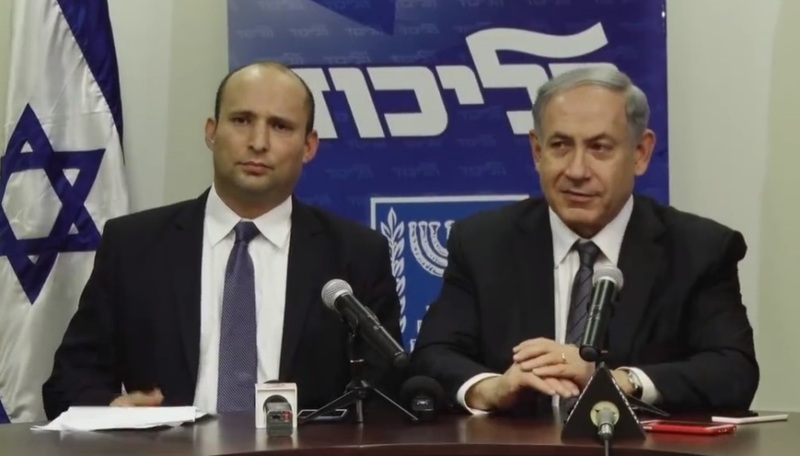 The Zionist Union has acted commendably since the election in relation to the Iranian issue. Hopefully, it will continue to avoid demagoguery and populism and endorse government policies affecting our national interest. 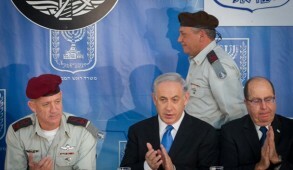 Indeed, most Israelis hope that even if it leads to the defection of a few of its far left extremist back benchers, the Zionist Union will ultimately become partners in a national unity government that should urgently bring about highly overdue electoral reforms to prevent a repetition of the current intolerable situation.